D-Bees of North America offers nearly 100 inhuman beings for your gaming pleasure. For players, they offer a chance to play any number of weird and exotic characters. For Game Masters, they offer unique and dangerous villains and Non-Player Characters to pit against the heroes. Many are hostile and dangerous. Some are cute and cuddly. Others are just plain weird and alien. 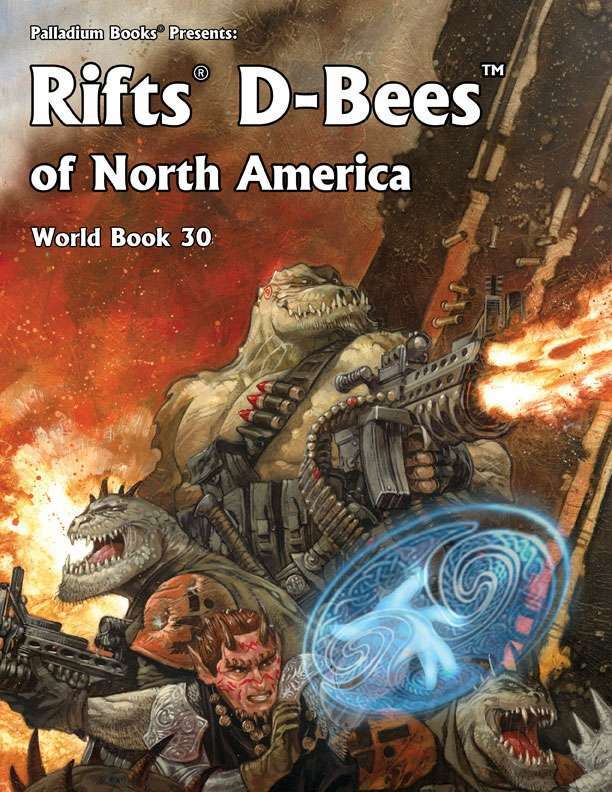 All are fun additions to any Rifts® game set in North America. 50 favorite D-Bees collected and updated from other titles. Nearly 100 alien beings in all. Special Abilities, R.C.C.s, history, habitat and more. Ideal for exotic Player Characters and nefarious villains. All new artwork, adventure ideas and more. 192 pages of unique characters. advertisement image in the back page is too heavy that some of the pdf readers like moon reader couldn't open it. HELP!! This title was added to our catalog on August 18, 2016.